Mississippi has its fair share of negativity representing it’s image to the masses. Though the state does have its own flaws that help contribute to this perception, there is also a good bit of unexpected goodness to be found. This is true as it pertains to the music scene in the area as well. One shining example of that is the hidden talent of Montshodaw. 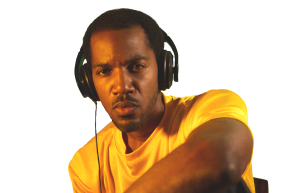 Montshodaw has worked behind the scenes for roughly 2 years, cultivating his sound with great detail. Now he is prepared to bring his genre-bending sound to your ears and spirit. With his singles “Black Rose” and “Sunny Day” both currently in rotation we get a taste of what he has to offer on the upcoming “The Realms… Realm 1: I’ma Rise” LP. What we receive is a sound that may not be for everyone, but is truly a refreshing experience regardless. 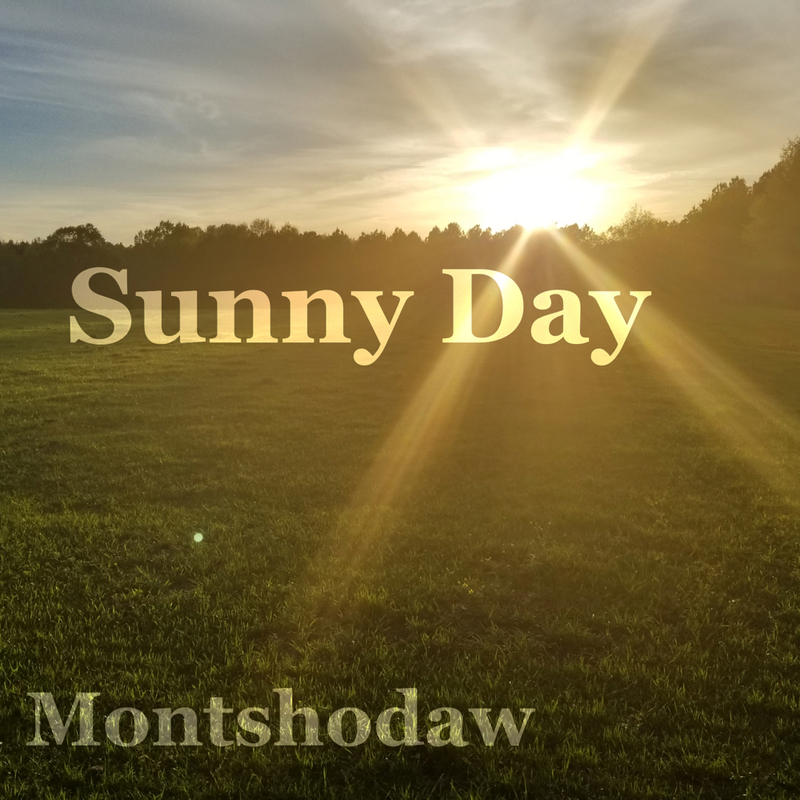 Elements of boom-bap, R&B, dancehall and whatever other sounds fits the spirit Montshodaw is in at the time all mix alongside the vocals of the rising artist. Nice to be able to speak with you, for anyone getting an introduction to you right now could you tell us more about yourself? Ok, Cool … My name is Montshodaw, which has an ancestral significance. I’ve been living in Mississippi all of my years, this life, and have lived in Jackson specifically for the last 15 years or so. I’ve been making music and writing songs for about two decades with unforeseen breaks in between… You know how life goes. As we all know, none of us are 2 dimensional renderings, even if the current mainstream media outlets portray art and us in that way. In regards to music I think of my person as an artist whose primary expression is Hip-Hop, if I must be categorize, but it’s also much more. The songs I create are not mine “per se.” Many songs have come to my person through dreams and other unusual occurrences. Because of this I have learned to be humble and respectful in accepting the talent in which God has gifted my person. I think what an artist, especially a music and visual artist, offers the world has the power to poison and undermine or to nourish and support the development and showing of greatness in others. You’re style of music is not one we hear everyday and that makes me wonder how you would describe it to someone who has never listened before? Yeah… my style of music… hmmm… In the past it has been quite difficult to describe my music to others. I think its just good music. However, time has revealed to my person a better description that I think to be more appropriate and accurate. I would describe my music as an “Edgy eclecticism with a quasi griot conscientious flare.” Said another way, it is exciting music that brings together many elements. It’s thoughtful, graphic, daringly courageous, and what one may call avant-garde. Who were some of your biggest influences growing up and how do you think it shows in your music now? 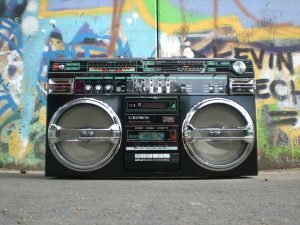 In my younger years I had like a thousand tapes and a boom box. You know I was one of ‘dem bedroom DJs, pretending to mix and perform in front of my mirror. So, I’m certain I had many influences. However, examining my high school years and beyond, I would have to say that my person garnered part of my inspiration to stand out from the crowd in style and content and to mingle unusual concepts into something pleasant and digestible was influenced in part by Outkast. Furthermore, I would say that Black Star (Mos Def or now Yasiin Bey & Talib Kweli) influenced my person regarding the commentary I may give about social concerns that impact my community and the world. Now, in regard to production influences, my person was heavily intrigued by the unorthodox style created by the RZA of Wu-Tang. Back in those days I had never witness the use of so many different sounds seemingly from all over the place to make a song. Outside of music itself who are some of the people who inspire you most and why? I would have to say my grandfather. Although he was not educated formally past the eighth grade he says, with the intelligence God gave him he made a way for his family. He did not run people over nor did he allow others to run him over. He was a leader in his community and not afraid to be a trailblazer and recognize when he needed help. I think my style and musical content is not new but stands out from others because it is not the usual. Stand out takes bravery, which is definitely a quality my grandfather possessed. Beyond my grandfather as a specific inspiration there are so many things that have and could inspire my person. The people I interact with day to day has inspired me. My family, my children, and the so-called stranger have inspired me. Random news I may hear on a radio talk show has been known to stimulate my person to create something. It’s not just a couple of specific things or a few people here and there that could inspire my person. If I am at peace enough in the moment in which I find my person there is usually a potential to see or experience an inner connection to my environment to be inspired and therefore come up with a creation. Being in Mississippi I’m interested to know how do you feel about the music scene here? Do you have any favorites? That question is in a way difficult to answer. For a long while I have been in sort of a cocoon working on music and engaging with the changing dynamics of family life. So I cannot say much about the music scene in general. Many times when my person is working on a project I don’t listen to music or get out much. However, I have scanned through and checked out a few artists in my area and I am sure there is plenty I have not heard. Anyway, there is this one artist that stands out to me. Her name is Vitamin Cea. I enjoy listening to her. She’s nice. How do you feel you fit in the landscape of Mississippi’s music scene? Like I mentioned in the previous question, due to family dynamics and music projects I have not scanned the musical landscape much. So in a way I’m not quite equipped to answer the question with full confidence. However, if Mississippi’s music scene is a reflection of mainstream artistry, nationally, there may be some resistance or reservations regarding the content of my music due to what people are used to or what they have been programmed to want, like, and enjoy. I think the open minded and those who are receptive to change and those who are unwittingly or consciously desiring an experience that is on the verge of originality will be able to see the worth of the music I create. It’s no doubt that there will be people in which my music just does not resonate. And that’s ok… The beautiful thing about the world is that we each came from a similar but different mold. This difference is to be offered to the world in a manner that is beneficial to it. Right now, the music I make is “different” but it’s an accumulation and expression of the Creative light that shines through me which is inherently colored by my experience and development. In that since, I suppose it’s not that different from anyone else. My apologies, that was the long way around. In short, given the oversaturation of identical style and content that has been trending in mainstream Hip-hop for years I perceive that there is plenty room here in Mississippi for my music. If I happen to be wrong, well, that’s when I may have to create a new lane. You currently have two singles out, could you tell us about them and why you chose those two to represent your complete project? Sure, The two singles that are out at the moment are entitled, “Black Rose” and “Sunny Day.” The first single, Black Rose, is about the recognition and acknowledgement of the inner beauty of the woman that is often neglected in a highly male-centered (patriarchal) society. Black Rose pays homage to that creative (feminine) part of God which manifest at its highest form through the woman. That feminine aspect is what allows us to be creative. A Black Rose in itself is something that is unique, right? What I wanted to convey without saying much about my person as an artist is that my style is unique and creative and it comes from within. The notion of coming from within or something that comes from within can be correlated to a rose. When a rose starts off, as most things, it grows from underground. The rose remains in its sepals until it is time to reveal its inner qualities, the pedals. On one side that represents my growth and in another since it represents the time we need to take to recognized the not so masculine inner qualities in our own being. So the chorus of Black Rose says, “Come quick, look there’re jewels in the garden. So beautiful, how could you ever disregard them.” Which means on a deeper level that there are a lot of things in life that people neglect, right? And it’s not just women. People often times neglect the part of their being that supports their ability to be assertive and exhibit leadership qualities. If you think of Chinese medicine, it says you have to nurture the Yin, which is the feminine, watery, regenerative side of the Yin/Yang to support the Yang, the fiery and aggressive side. Eventually if someone is too fiery for too long the fire will burn out or burn something up. So Black Rose is an important song for the project because it is attempting to bring a greater recognition and focal prominence to the need to tone down the aggression, anger, hate, jealousy, and vengefulness that destroys lives. This idea is also demonstrated on the album artwork for “The Realms… Realm 1: I’ma Rise.” You see a person or an entity in the middle of a world that is on fire. In her/his right hand is a weapon made of water to combat the flames. The second single, Sunny Day, Is about coming to the realization that happiness cannot to be found in objects of enjoyment or mundane accomplishments. This song also invigorates the idea that we are in control of our own state of mind. We have the power to create and maintain our state of being and that includes being happy, which is enjoying life when things are going well and being at peace when things turn the opposite or come to an end. Sunny Day is connected to ideas that dominate the inner meanings of Black Rose in the fact that in order to bring about that Sunny Day we have to have balance in our life. Your project “The Realms… Realm 1: I’ma Rise” is approaching its release. Tell us what your goal was going into its creation? The Realms… Realm 1: I’m a Rise is one part of a bigger conceptual project that consist of multiple levels, hence multiple albums. Like any of project that I do, The Realms… Realm 1 had to have a purpose. Purpose for my person means that I can see the potential of the project’s ability to enhance the lives of others. The title of the project came more towards the end of its development. The Realms is constructed to document the exploration of varying aspects of one’s environment and the growth process that accompanies such exploration and discovery. How do you wish for everything to be received? What emotion would you like to evoke in the listeners? I would like for the project to be received in the light common unity. I would like for people to be able relate, connect, or see some part of them or their life in the project. And be able to see the folly in some ways living. If that can happen or if revelations are received by the listener in any way that they think can improve their lives I would consider that a success. In regards to evoking a certain response in the listener, I would like the project to engender the desire to overcome elements of estrangement and opposition in family relationships and inner conflicts of understanding within the listener’s own mind about emotional responses to life situations. Who all helped out in the creation of the album? Do you think there may be a particular song people will connect with more than others? There are a few songs in which I think people will be able to relate. However, I think the majority of people will be able to connect with “Black Rose” the most. What was the first and the last song created for it? Outside of the album itself, what else do you have in your plans for 2018? My person has a few thing planned for the rest of 2018. 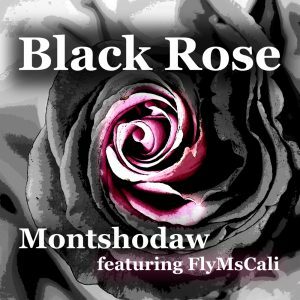 FlyMsCali, which is the featured artist from the “Black Rose” song has an EP that I produced and co-wrote coming out sometime this year. I also plan to shoot a few music videos. In addition, I’m looking forward to start writing for my album after next coming project. Before we conclude, give people a fact about yourself that most may not know. My war is for the establishment of inner peace and oneness.